And the ‘Anybody Wanna Buy A Heart?’ promo continues. Following up from her well received pop/rock ballad ‘Love 'Em All’, K. Michelle shares ‘Maybe I Should Call’ off ‘Anybody Wanna Buy A Heart?’, and comes as an automatic download for all those who pre-ordered the new album. 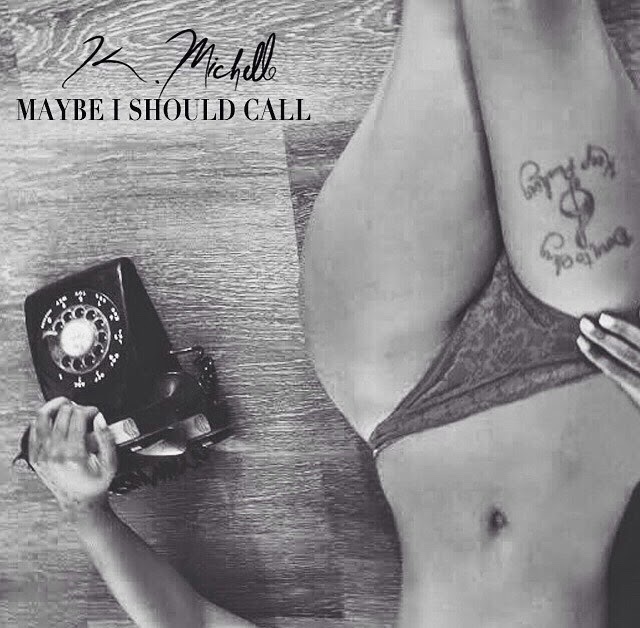 ‘Maybe I Should Call’ is a heavy piano-led ballad that sees K. Michelle singing about taking the first lead. Earlier today she revealed the album cover and tracklisting to her new album ‘Anybody Wanna Buy A Heart?’, and then will later debut her new reality show ‘K. Michelle: My Life’ on VH1 this evening, followed by the video to her new single ‘Love 'Em All’; also I shared with you all my exclusive interview with K. Michelle, which you can read here. Both ‘Love 'Em All’ and ‘Maybe I Should Call’ will appear on K. Michelle's new album ‘Anybody Wanna Buy A Heart?’ out December 9.